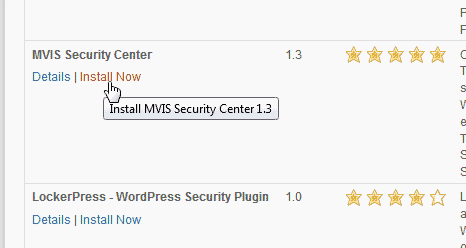 A great security plugin to use is the WordPress MVIS Security Center plugin. 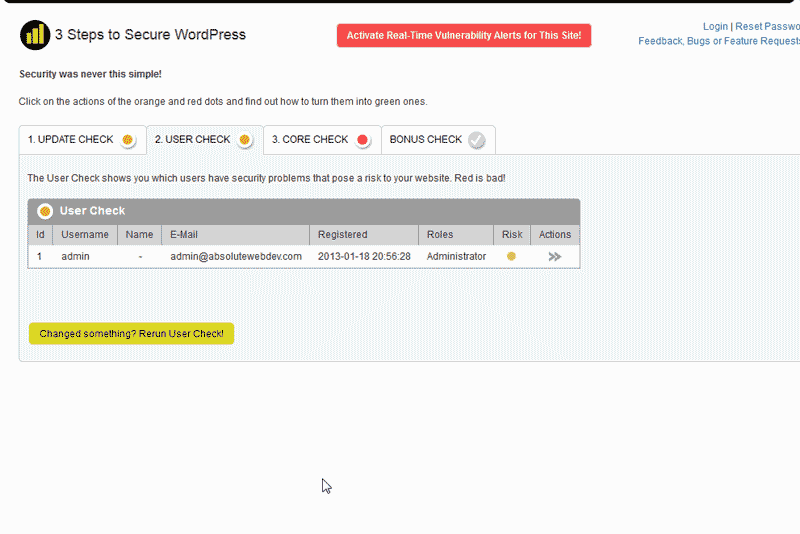 This plugin give you access to security information within your WordPress Dashboard. 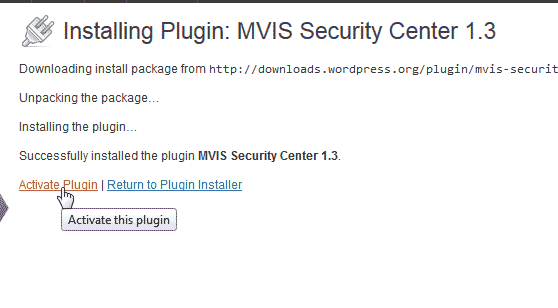 Below will show you how to install and configure the MVIS Security Center plugin for WordPress. Go to the plugins and Click Add New. In the search bar, search for security. Find the MVIS Security Center plugin in the list. Once finished click the Activate Plugin Link. You will now see a Security Center link. Check both the "I agree . . ." and the "I allow . . ." check boxes and click Continue. 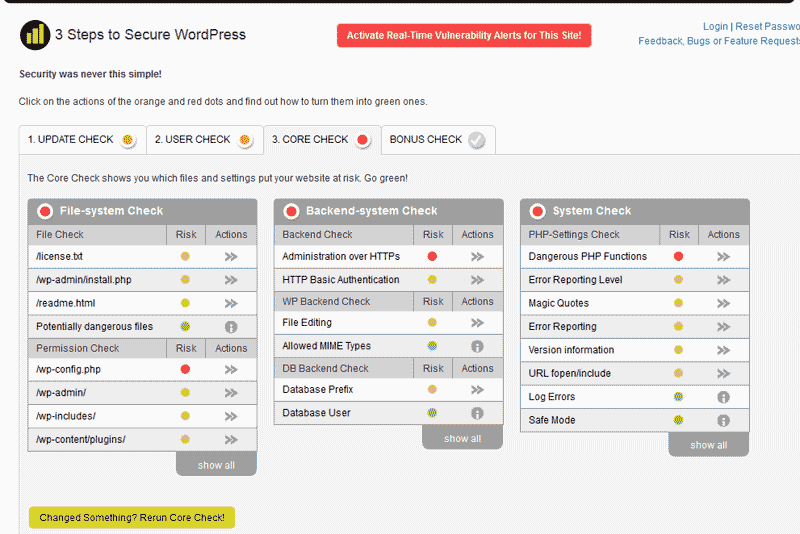 Now you will see the options to view your security information for your WordPress site. 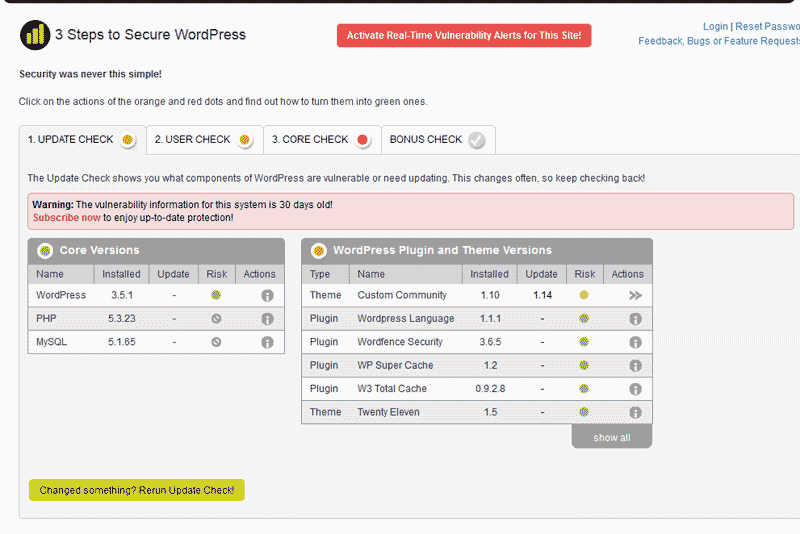 The below sections will explain some of the basic functionality of the MVIS Security Center plugin for WordPress. You can click the Go to update button at the bottom of the Update check to see the available options for the plugin. 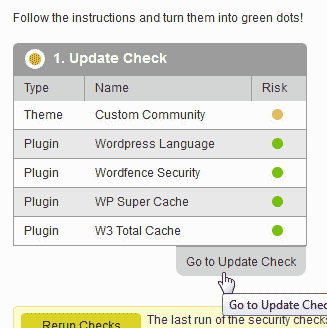 The Update Check will show your your current WordPress, PHP, and MySQL versions. This section also scans for outdated plugins, and themes. In the image to the right, you can see that the Custom Community theme is out of date. The old version and the new version of the theme will show in the list. The user check will show any users that may have a security risk. 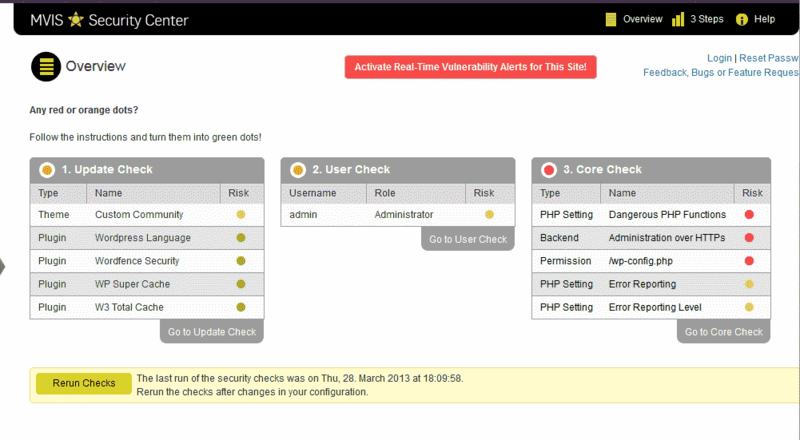 In this case, the snapshot on the right shows the Admin user is yellow and needs configuring for security. The core system check scans the server for Files, Backend system, and System configuration settings. 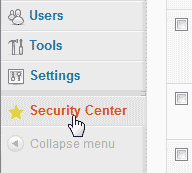 You can evaluate your file permissions, and PHP-settings within the MVIS Security Center plugin. The Bonus check area is for extra features within the MVIS Security Center plugin You can get local computer, web server, network security, backup and monitoring security information within the bonus section..